Many yoga classes conclude with what is known as yoga nidra, which literally means "yoga sleep." Yoga nidra is more commonly known as "Deep Relaxation," or when performed at the end of a yoga session, "Final Relaxation." This deeply calming experience can help you to integrate the benefits achieved during your yoga session, as well as let go of any areas where you may still be holding tension—whether that tension be physical, mental, emotional, or even spiritual. Nearly every yoga class concludes with a period of deep relaxation. Many yoga teachers believe that this is the most important part of a yoga practice. 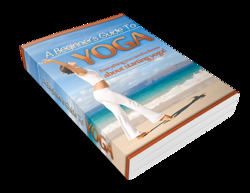 It provides the opportunity not only to integrate the benefits of your yoga session, but also to tune in to yourself—a priceless benefit for the typical man suffering from the pressures of time constraints and societal demands. There are many powerful ways of preparing for Deep Relaxation. The relaxation exercise that follows was inspired by my recollection of one very deep and restorative yoga session I enjoyed with a teacher at the Sivananda Yoga Vedanta Center in New York City. Try concluding your yoga practice session with this progressive relaxation exercise. I suggest that you read through the following instructions in their entirety before you try the relaxation so that you'll have an understanding of the overall procedure. You may find it helpful to have someone read you the instructions as you follow along and relax. Another helpful way to use this relaxation exercise is for you to make a tape recording of the instructions as you read them through slowly, then play back the tape as you follow the instructions for the relaxation. While Deep Relaxation is frequently performed at the end of a yoga session, you can perform yoga nidra any time you are in need of relaxation, independent of practicing other yoga poses. Assuming yoga nidra when you come home from work can be deeply restorative.